Is Moscow interested in cutting or tapping the cables? Does it want the West to worry it might? Is there a more innocent explanation? Unsurprisingly, Russia isn’t saying. 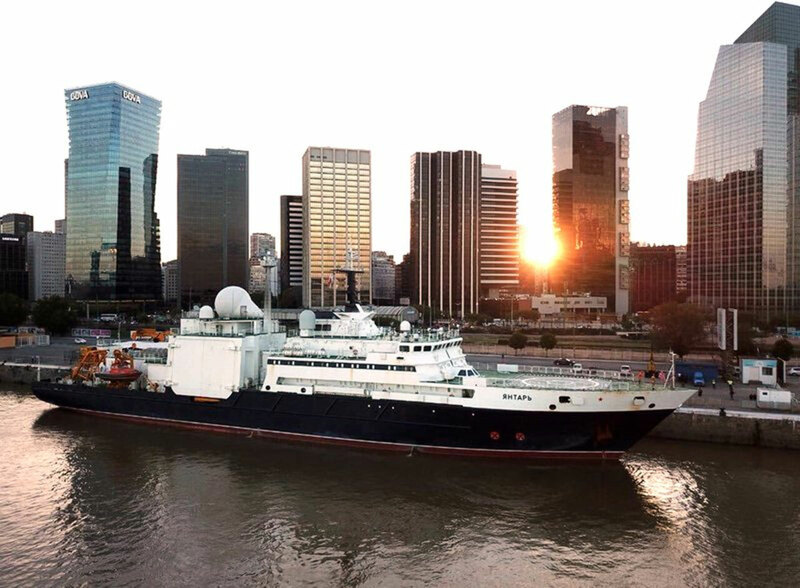 But whatever Moscow’s intentions, U.S. and Western officials are increasingly troubled by their rival’s interest in the 400 fiber-optic cables that carry most of world’s calls, emails and texts, as well as $10 trillion worth of daily financial transactions. “We’ve seen activity in the Russian navy, and particularly undersea in their submarine activity, that we haven’t seen since the ’80s,” Gen. Curtis Scaparrotti, commander of the U.S. European Command, told Congress this month. Without undersea cables, a bank in Asian countries couldn’t send money to Saudi Arabia to pay for oil. U.S. military leaders would struggle to communicate with troops fighting extremists in Afghanistan and the Middle East. A student in Europe wouldn’t be able to Skype his parents in the United States. All this information is transmitted along tiny glass fibers encased in undersea cables that, in some cases, are little bigger than a garden hose. All told, there are 620,000 miles of fiber-optic cable running under the sea, enough to loop around the earth nearly 25 times. Most lines are owned by private telecommunications companies, including giants like Google and Microsoft. Their locations are easily identified on public maps, with swirling lines that look like spaghetti. While cutting one cable might have limited impact, severing several simultaneously or at choke points could cause a major outage. The Russians “are doing their homework and, in the event of a crisis or conflict with them, they might do rotten things to us,” said Michael Kofman, a Russian military expert at nonprofit research group CNA Corp.
One ship run by the directorate is the Yantar. It’s a modest, 354-foot oceanographic vessel that holds a crew of about 60. It most recently was off South America’s coast helping Argentina search for a lost submarine. Russia’s Defense Ministry did not respond to a request for comment. There is no hard evidence that the ship is engaged in nefarious activity, said Steffan Watkins, an information technology security consultant in Canada tracking the ship. But he wonders what the ship is doing when it’s stopped over critical cables or when its Automatic Identification System tracking transponder isn’t on. Members of Congress are wondering, too. The Yantar’s movements have previously raised eyebrows. On Oct. 18, 2016, a Syrian telecom company ordered emergency maintenance to repair a cable in the Mediterranean that provides internet connectivity to several countries, including Syria, Libya and Lebanon. The Yantar arrived in the area the day before the four-day maintenance began. It left two days before the maintenance ended. It’s unknown what work it did while there. Watkins described another episode on Nov. 5, 2016, when a submarine cable linking Persian Gulf nations experienced outages in Iran. Hours later, the Yantar left Oman and headed to an area about 60 miles west of the Iranian port city of Bushehr, where the cable runs ashore. Connectivity was restored just hours before the Yantar arrived on Nov. 9. The boat stayed stationary over the site for several more days. Undersea cables have been targets before. At the beginning of World War I, Britain cut a handful of German underwater communications cables and tapped the rerouted traffic for intelligence. In the Cold War, the U.S. Navy sent American divers deep into the Sea of Okhotsk off the Russian coast to install a device to record Soviet communications, hoping to learn more about the USSR’s submarine-launched nuclear capability. More recently, British and American intelligence agencies have eavesdropped on fiber optic cables, according to documents released by Edward Snowden, a former National Security Agency contractor. In 2007, Vietnamese authorities confiscated ships carrying miles of fiber optic cable that thieves salvaged from the sea for profit. The heist disrupted service for several months. And in 2013, Egyptian officials arrested three scuba divers off Alexandria for attempting to cut a cable stretching from France to Singapore. Five years on, questions remain about the attack on a cable responsible for about a third of all internet traffic between Egypt and Europe. Despite the relatively few publicly known incidents of sabotage, most outages are due to accidents. Two hundred or so cable-related outages take place each year. Most occur when ship anchors snap cables or commercial fishing equipment snags the lines. Others break during tsunamis, earthquakes and other natural disasters. But even accidental cuts can harm U.S. military operations. In 2008 in Iraq, unmanned U.S. surveillance flights nearly screeched to a halt one day at Balad Air Base not because of enemy mortar attacks or dusty winds. An anchor had snagged a cable hundreds of miles away from the base, situated in the “Sunni Triangle” northwest of Baghdad. The severed cable had linked controllers based in the United States with unmanned aircraft flying intelligence, surveillance and recognizance missions for coalition forces in the skies over Iraq, explained Ret. Air Force Col. Dave Lujan of Hampton, Virginia. “Say you’re operating a remote-controlled car and all of a sudden you can’t control it,” said Lujan, who was deputy commander of the 332nd Expeditionary Operations Group at the base when the little-publicized outage lasted for two to three days. “That’s a big impact,” he said, describing how U.S. pilots had to fly the missions instead.